Whether you love to turn the pages of a good book or curl up with your e-reader, at Questor Insurance we understand the luxury of taking time out to get your head stuck in a good novel. 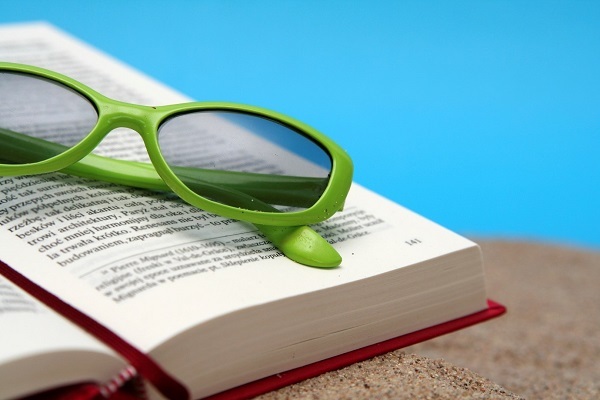 One of the luxuries of going on holiday is the spare time available to get stuck in a book or two, take a look below at some of the books you should have packed in your beach bag. Me before you is a tragic love story about two people, with the main character Lou Clark an intelligent independent woman working in a Butter Bun tea shop. Her life completely changes when she realises she is no longer in love with her boyfriend and she is about to lose her job. In a desperate attempt for work she takes a position working for Will Traynor who is rich, lives the high life and is wheel chair bound after an accident. Perfect for younger readers and old school Harry Potter fans, Harry Potter and the Cursed Child originally a script continues the Harry Potter story. Harry, Ron and Herminie are all now grown up, however the past won’t stay buried with Harrys youngest Son Albas having to struggle with the weight of a family legacy. I Heart London is about a woman who has fallen in love with what New York has to offer, however when she is urgently called back to London. When visiting London she risks losing her perfect new life and gorgeous boyfriend. When she arrives back in London she is faced with the ex-boyfriend which prompted her decision to leave London, best friend, Mum and a wedding. No Baggage is about a couple meeting on an online dating website and embarking on an adventure of a life time together. The adventure consists of 8 countries in three weeks, with no hotel reservations, plans or even any bags. This is a perfect read for those jetsetters who really enjoy to travel and explore the world. Not Working is a witty read about a woman who leaves her day job on a journey of self-discovery, the problem is she doesn’t know where to begin to look. Being the only one in her social group in questioning where life should take her, she finds herself questioning everything and searching the internet for answers. Not Working is written in a dairy format showing a light hearted journey of self-discovery and growing up, while asking the life questions no one thinks to ask. Now you have your summer holiday book list all planned, make sure you don’t forget comprehensive travel insurance. Questor Insurance covers you for all sorts of trips and short breaks click here or contact us on 0333 323 0090 to find out how our travel insurance can cover you.